Dibrugarh: A denist has lodged a complaint against one Naba Kumar Patir claiming that the latter had demanded a sum of Rs 10 lakhs from him in lieu of an appointment at the Assam Medical College Hospital (AMCH). Following the complaint the accused was arrested on Thursday. 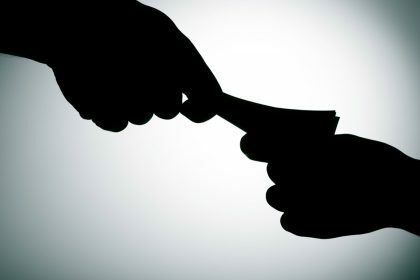 Naba Kumar Patir, an assistant engineer of Town and Country Planning department of Assam government was caught red handed accepting the bribe. A case has been registered against him by the Assam police. “He was contacted me after I applied for a post in AMCH under Assam Public Service Commission and claimed that he would help me and demand bribe for it. He also said that, he has good contacts with APSC. Regarding the matter I contacted with police and police raided his house based on my complaint soon after I paid him Rs 10 lakh in cash at his house and caught him red handed,” the dentist told India Blooms. Jitul Deka, Secretary General of Asomiya Yuba Mancha has asked for a high level inquiry into the matter. So what is the news here? All government appointments are being carried out after accepting bribe. Ineligible , inexperienced and incompetent doctors are being appointmented. I was denied appointment because I was over-qualified (holding MD ENT for a Diploma DLO post) and over experienced.